There was a good turnout at Portarlington’s rally on Wednesday evening hosted by women’s rights lobby group, Standing 4 Women Laois, in solidarity with the hundreds of women affected by the Cervical Check scandal. 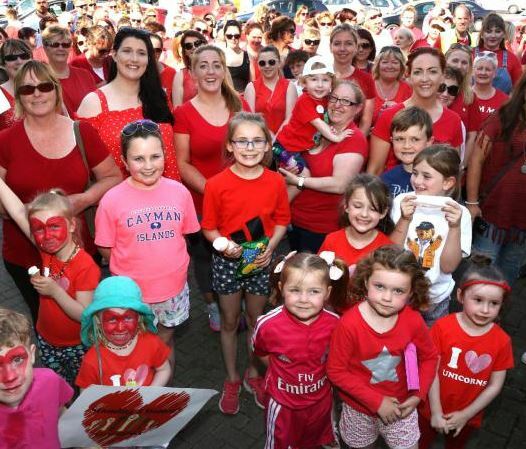 The protest in Portarlington was part of a national campaign organised by Standing 4 Women Ireland where people wore red and joined together for women’s health. Kim Tully who organised the Portarlington rally was pleasantly surprised by the turnout. Well done again Portarlington, lets get behind the women of Ireland and make this change happen!